APPLAUSE evolves from the artist’s ongoing study of color and perception, focusing on the impossibility of a “natural” blue rose. 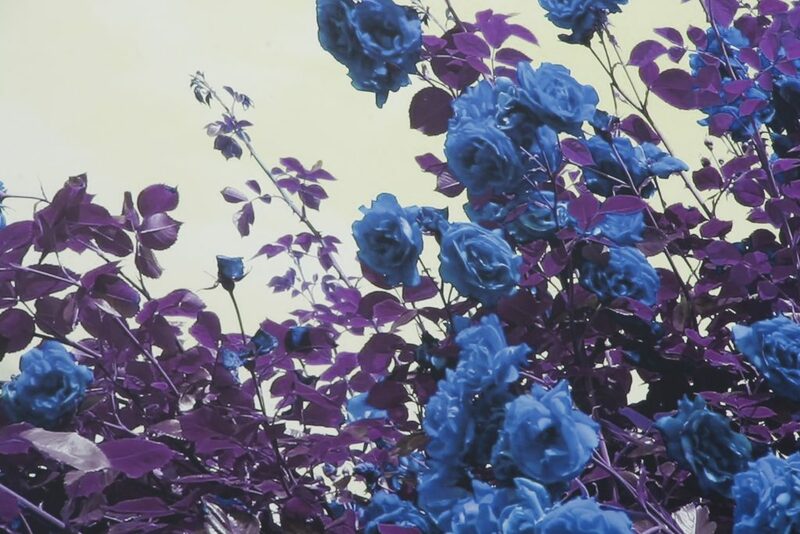 Through research Oppenheim learned that blue roses can not occur without human intervention because roses lack delphinidin – the chemical component to produce blue petals. For centuries blue roses were created by adding blue dye to white roses. In 2004 the Japanese company Suntory claimed success in the production of a blue rose through genetic engineering, though most onlookers would consider the color lavender rather than blue. The firm’s flower, not-so-humbly called “SUNTORY blue rose APPLAUSE” is too acidic for the delphinidin in its petals to appear as a pure blue. 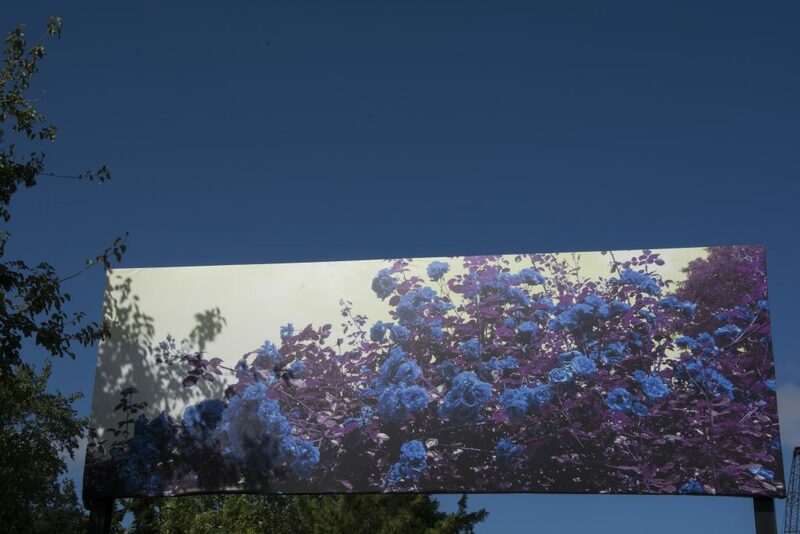 For her Broadway Billboard, APPLAUSE, Oppenheim creates the vision of a “truly” blue rose by digitally shifting color tones of a stock photograph. Appropriately, folklore of various cultures often use the blue rose as symbols of the impossible or unattainable. In tales and poetry, it has also represented unrequited love, blinding phantasm, and deceptive illusion. 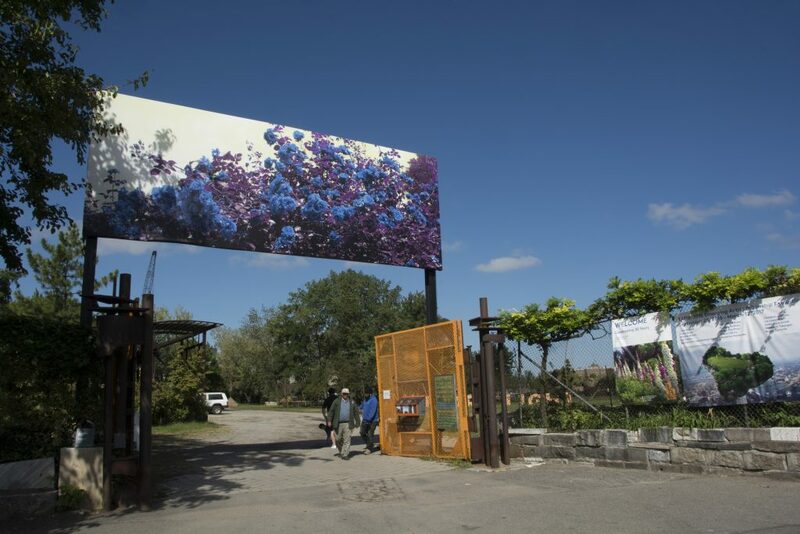 Now situated in the leafy landscape and post-industrial neighborhood at Socrates Sculpture Park, it takes on an enigmatic tone. As genetic modification organisms are currently hotly debated—both championed as a solution to global hunger and derided as potentially toxic agents–are these blue roses ominous or glorious? Oppenheim exhibited at Socrates in 2003, as part of its FLOAT event and performance series. 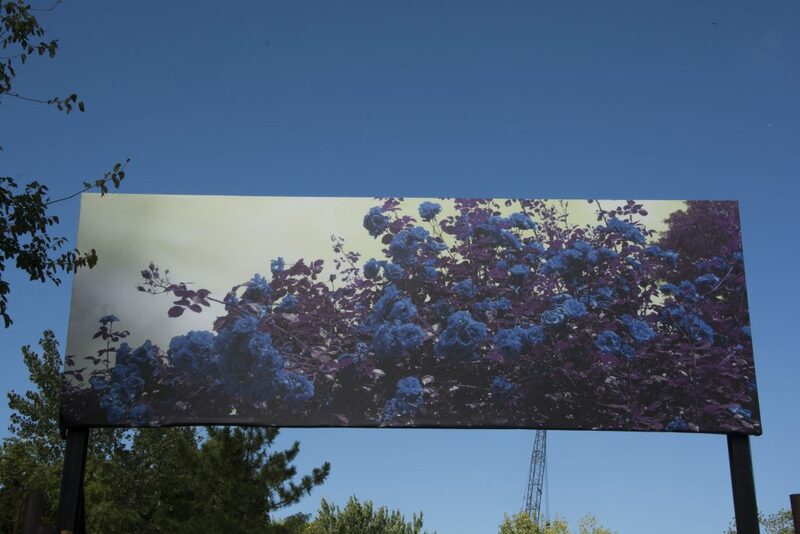 In celebration of the park’s 30th anniversary in 2016, artists previously shown at the park have been invited back to present billboard projects. 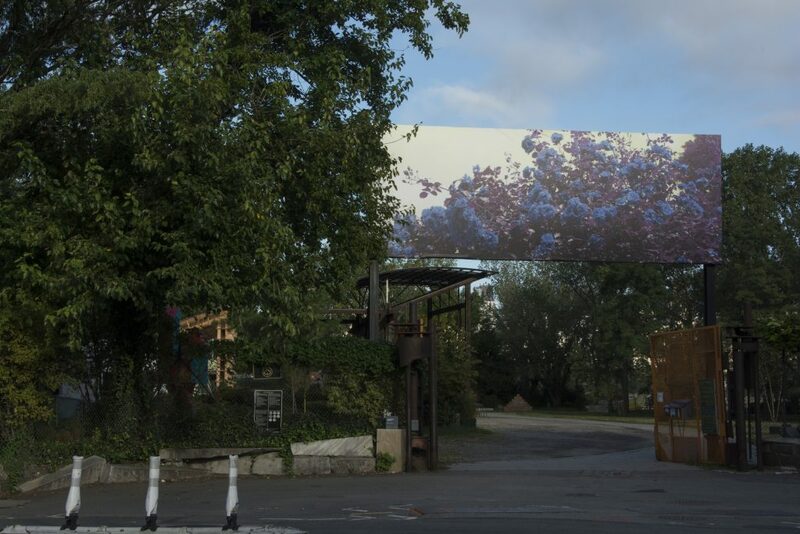 The Broadway Billboard series has presented 30 billboards to date, featuring artists such as Wangetchi Mutu, John Giorno, Catherine Opie, Duke Riley, and Chitra Ganesh.